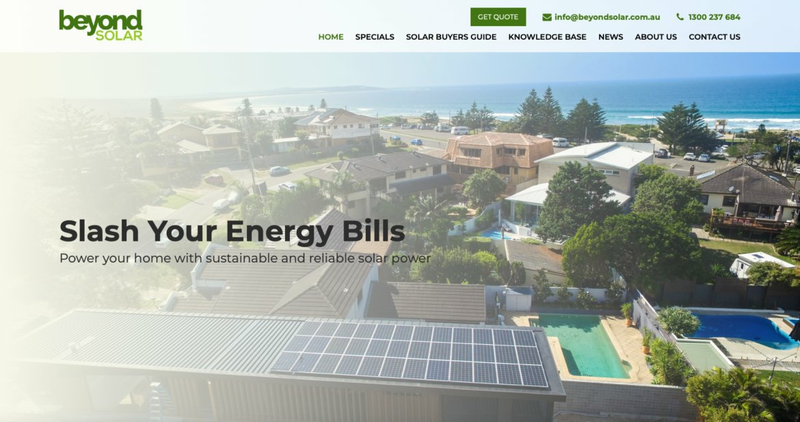 Beyond solar has a new look website. In an effort to provide our customers with a more streamlined and enjoyable experience we have rebuilt our website from the ground up. The new website now has a Calculator that allows you to effortlessly get a recommendation as to the Solar Power system that is best suited to your needs and give you an indicative price while you are at it. We have also added a new Knowledge Base section that allows you to get all the technical information you need on the Solar Panels, Inverters and Batteries that we supply or stock. In Industry riddled with cowboys and misinformation we have decided to compile a guide for the Solar Power Shopper to review and ultimately help our customers navigate through murky waters to better understand solar and hence make a more informed decision. To find out more information visit our Solar Buyer’s Guide.